Do what needs to be done: Do it Safely, Do it with Quality, Do it on Time. 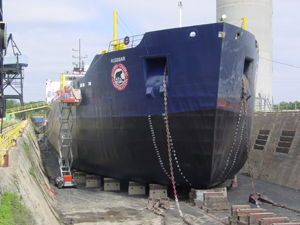 Operators of the Toledo Shipyard since February of 2006, IRONHEAD has completed several dozen dry-dockings of vessels, ranging from survey work and hull repairs to mechanical repairs/rebuilds and blasting/painting projects. 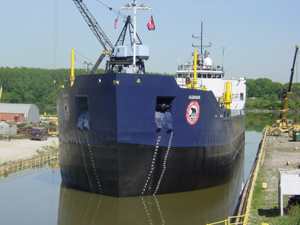 IRONHEAD employs union Boilermakers and Machinists and operates 805' and 550' graving docks with direct access via the Maumee River to the Great Lakes. IRONHEAD Marine employs an experienced group of shipyard employees and seeks measured growth by building long term relationships.